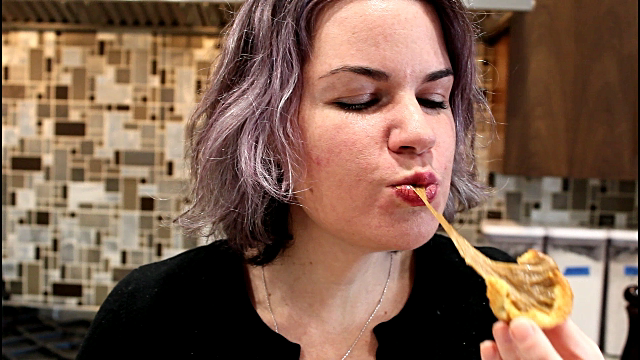 Tiny, cute toast cups filled with melted, beer infused cheese? Yes, please! This is a two-part recipe; each part can be used for other fun things! 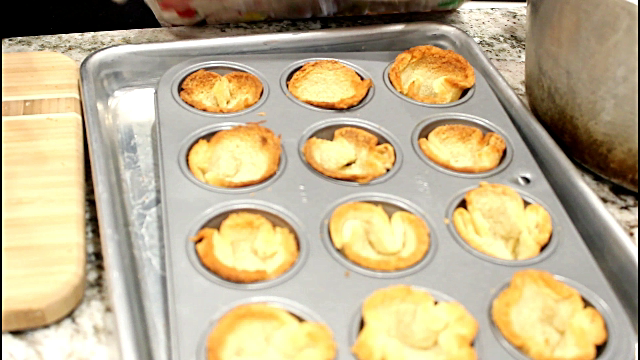 Preheat the oven to 350* and get out a mini muffin pan, a rolling pin and your biscuit cutter. Brush the cups of the muffin pan with butter and set aside. Gently roll each piece of white bread and cut out the center with the biscuit cutter. I save the scraps for bread crumbs. Ease each bread circle into a cup of the muffin pan. Brush the bread with more melted butter. Bake at 350* until golden, brown and delicious, about 20 minutes. In a medium saucepan, melt the butter over a medium flame. Mix in the flour to make a roux and let it cook for 3 minutes, while stirring. This will keep the sauce from tasting like raw flour. Add 1/2 of the beer (or milk if using instead) and whisk briskly to break up any lumps. Add the rest of the liquid, and whisk again. Let the mix come to a boil – ok, it is more of a burble. 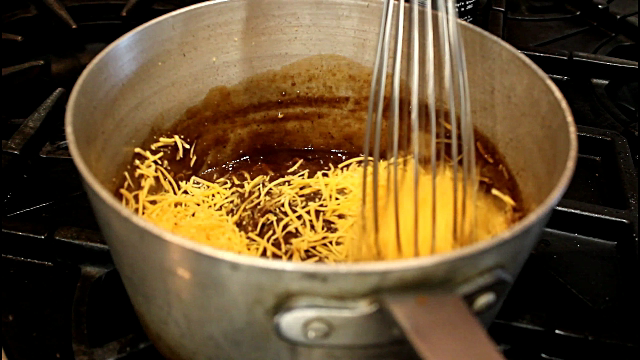 Add half of the cheese, stir until melted and then the rest of the cheese. 1. Put a little of the Welsh Rarebit into a toast cup and enjoy! These can be put together an hour before serving and heated in the oven for 5 minutes. Fill with egg/tuna/chicken salad for a fun presentation. The Welsh Rarebit is also awesome on plain toast, as a dip for pretzels, or mixed with some chili and thrown in the CrockPot on low for a game day dip!